Unexpected: Shashi Sinha, CEO, Lodestar Universal Pvt. Ltd.
Mumbai: Poor viewership ratings for the second season of the Indian Cricket League (ICL), which has been telecast on Zee Sports and Ten Sports from 10 October, has puzzled the organizers and some media buyers alike. Promoter Essel Sports Pvt. Ltd has backed the series with huge advertising spending and mass promotions and garnered heavy coverage of the series across media, but something hasn’t quite worked. While Essel projected Rs120 crore in total revenue for the series, it received an average TVR, or television rating, of 0.7% for 10 October-1 November in the target group of 15-plus males, all India. TAM Media Research Pvt. Ltd ratings were recently challenged by ICL, which wrote to the television ratings firm seeking clarifications for such low figures, since ratings by rival Audience Measurement and Analytics (P) Ltd were higher (crossed 1 TVR). A TVR reflects the number of people that watched a show and the amount of time they spent watching it and is the currency to which ad rates are pegged. In comparison, high-profile Indian Premier League (IPL) of the Board of Control for Cricket in India (BCCI) had an average TVR of 4-5 in April-June. TAM executives did not comment. Joy Chakraborty, chief revenue officer, Zee Entertainment Enterprises Ltd, a subsidiary of Essel, says he expected an average rating of 2 or 3 at least. “I think we did everything right with ICL this year, in terms of distribution, marketing and connectivity. ICL matches are seeing packed stadiums in various cities. I fail to understand then, why people don’t seem to be watching the series on television. We are yet to get a reply on this one." Some buyers note that the rating is better than the Indian cricket board’s Challenger series in October, which scored a 0.5 average TVR in the target group of 15-plus males, all India. Many media buyers who have bought inventory in the series say there are lacunae within the ICL product, which need to be addressed if the product has to have a future. They also underline that the frequency of cricket seasons available on TV and the time band (ICL matches start at 7.30pm) have not been the drag on ICL viewership. They say the ICL showcases lesser-known cricket stars such as Syed Abbas Ali, Ali Murtaza and Amit Uniyal, while it is star power and drama that attract viewers and worked for IPL. L.S. 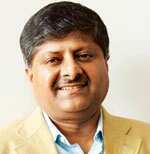 Krishnan, president of Mumbai-based media specialist radar, Mudra Communications Pvt. Ltd, says while ICL pioneered the T20 format, there is no doubt that it is the BCCI’s IPL which made it a premium tournament and property. “IPL mixed entertainment and cricket and that’s what worked for them. It brought in all the big stars and glamour, and it’s a Herculean task for ICL to live up to," said Krishnan. Sanjay Chakraborty, CEO of New Delhi-based media specialist Dentsu Media Ltd, says non-star cricket has never been a big phenomenon in India. Typically, viewers look for Sachin Tendulkar in a cricket match. “Promotions can create awareness, but it’s ultimately the product that will drive audiences. Non-star cricket has never been big in India; Ranji Trophy in the past never witnessed much of viewership," he says. Cricket viewership on television is driven to a large extent by the teams involved in the tournament and the star players, followed by factors such as timeband and channel on which the series is telecast, and connectivity, says Shubha George, managing director of Mumbai-edged media specialist Mediaedge:cia, GroupM India Pvt. Ltd. “Lack of star power is pulling down viewer interest."